For many South Africa watchers, it can be difficult to conceive of the state as a separate entity from the ruling African National Congress (ANC). The ANC is so closely associated with the long struggle against apartheid, the birth of a democratic state, and the founding leadership of modern South Africa that it can seem fundamental to the country’s identity. Notwithstanding some opposition parties’ important gains in local elections in recent years, many analysts and journalists cover the ANC’s internal debates and power struggles as if they were synonymous with national political contests—and for good reason, because to date they largely have been. For obvious reasons, the blurring of lines between the party and the state raises concerns about the extent of corruption in South Africa, as well as questions about the strength and resilience of South Africa’s democracy. But, South African voters may have a much easier time envisioning a South Africa that is not governed by the ANC than is typically assumed. 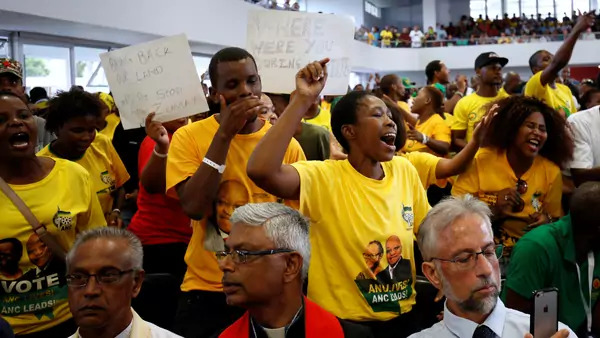 Recently released polling from Afrobarometer suggests a meaningful decline among South African voters with a strong sense of party loyalty, particularly among young, educated urban voters. For the first time in eighteen years of polling, over half of respondents considered themselves nonpartisan. For these voters, their own sense of identity does not overlap with party affiliation. They are unlikely to be moved by nostalgic campaign appeals based on liberation credentials. They are dissatisfied with their government, wish to enjoy more personal and economic security, and are likely to cast their votes for any party they believe can deliver on these core issues. In fact, the Afrobarometer survey found a solid majority would forfeit fundamental democratic rights if they could be assured of strong government performance on service delivery, which suggests that the country’s fundamental national values may be far different from the way they are conventionally described and understood. The numbers suggest that external and internal narratives about South Africa may be diverging, and that those genuinely trying to understand the South African state may need to consider a broader range of political possibilities going forward. They also underscore the challenge before new President Cyril Ramaphosa as he approaches next year’s elections. Ramaphosa will need to attract voters unmoved by the historic triumphs of the ANC and convince them that the same ANC that has so dissatisfied them can achieve the results they crave on employment, security, and housing—all while managing the fraught internal politics of the party itself.